The Mercedes-Benz CLS Shooting Brake and Coupe provide those in Beaumont, TX with a standout ride that is fun, and exciting, just like all new Mercedes-Benz vehicles, and these two models are being prepared for one last ride. With the Mercedes-Benz CLS Final Edition, we’re going to see the last variation of both these body types, as the automaker has decided to go in a different direction and no longer produce them. But, that doesn’t mean that it can make the final one look good. It will certainly have lots of enhancements with AMG® accessories, including a chrome diamond radiator grille, body kit, and 19-inch wheels to name a few exterior features. There’s also leather seating, chrome shift paddles, stainless-steel pedals with rubber studs, and more on the inside. 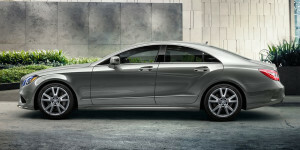 You’re also getting the performance that Mercedes-Benz is known for, too. If you’d like to learn more about these Final Edition vehicles, contact us today. You can also view the CLS Shooting Brake and Coupe’s current editions here at Mercedes-Benz of Beaumont, were we’d be happy to discuss them, and answer any questions you might have.